Check out some of our latest photos from a new customer - GoPro! 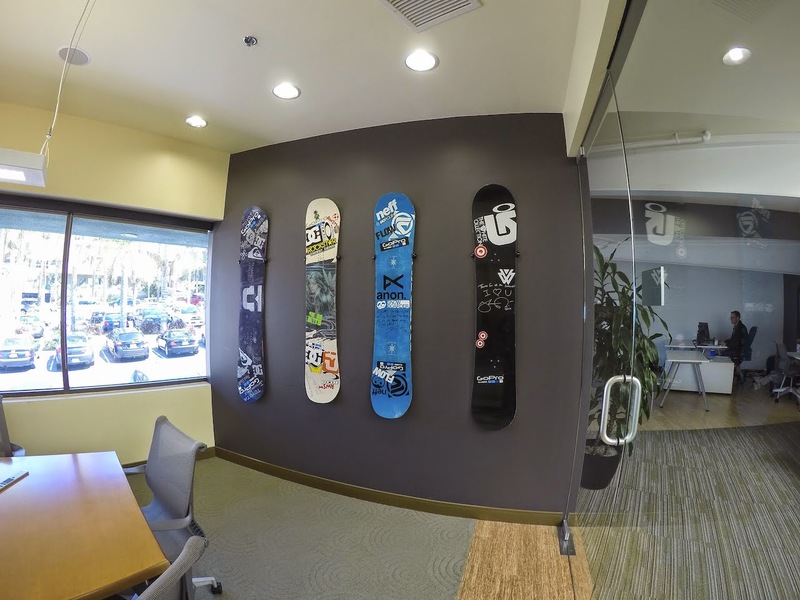 GoPro picked out a few snowboard wall mounts for their newly redone office in Cardiff-By-the-Sea, California. 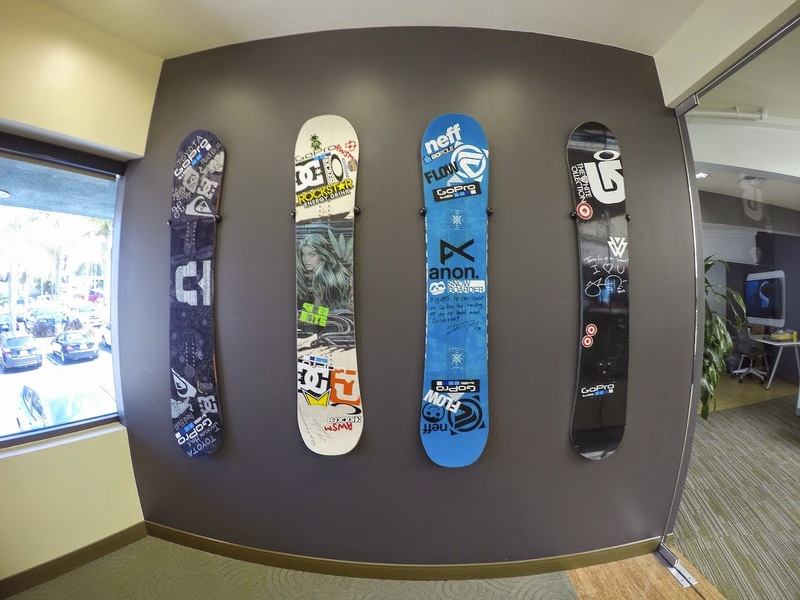 You can see that the snowboard decks have been signed by a bunch of GoPro's team riders. Not your standard office wall decoration!